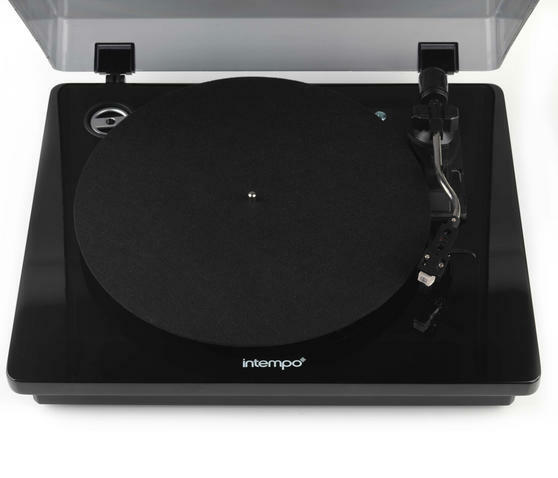 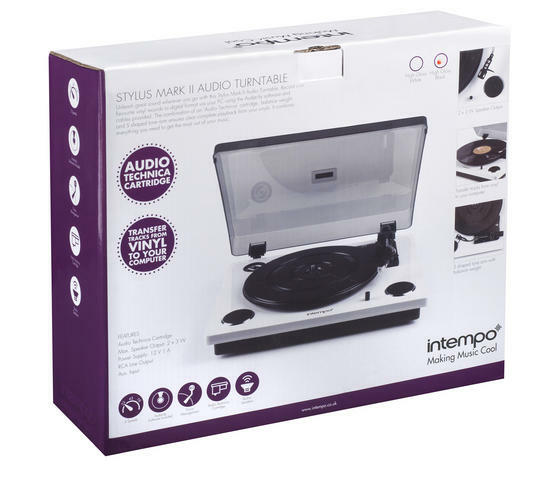 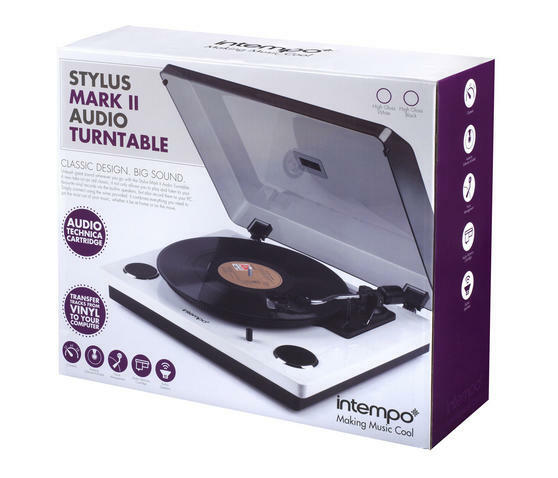 Play all your favourite songs on vinyl or using your smartphone with this fantastic Intempo Stylus turntable featuring an integrated USB port and AUX input. 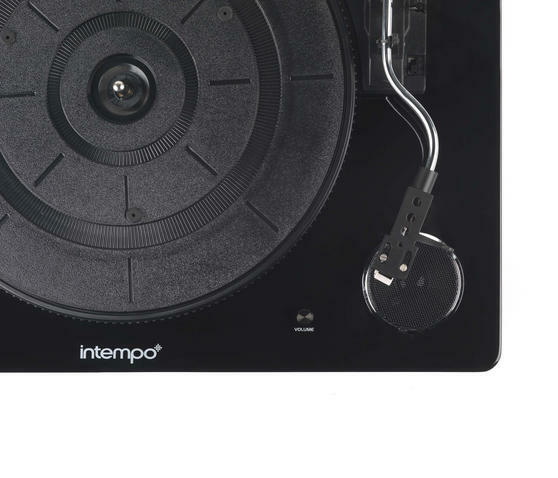 With a contemporary design, the turntable also has a high gloss finish and dust cover, to maintain the quality of your vinyl collection as you listen. 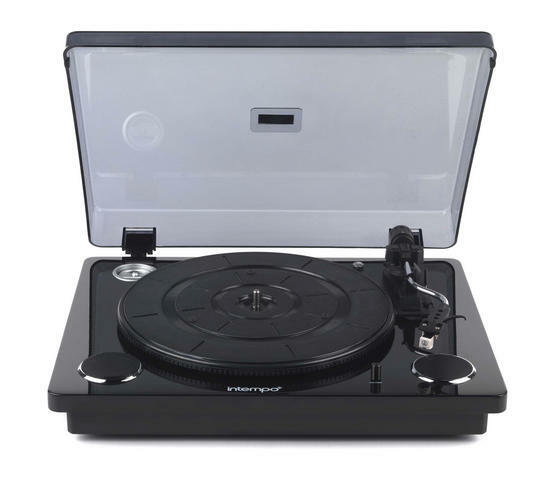 The three speed turntable can play 33, 45 and 78 rpm records and easily switches between modes, so you can simply connect your smartphone, tablet or MP3 player with a USB cable or AUX input. 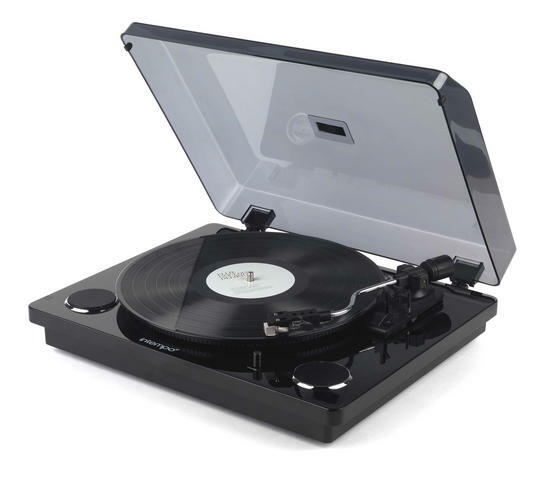 The three speed turntable can play 33, 45 and 78 rpm records and has two discreetly built in speakers to provide great sounding music.